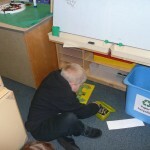 P1/2 have had a busy day today. 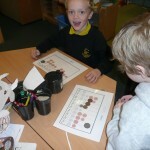 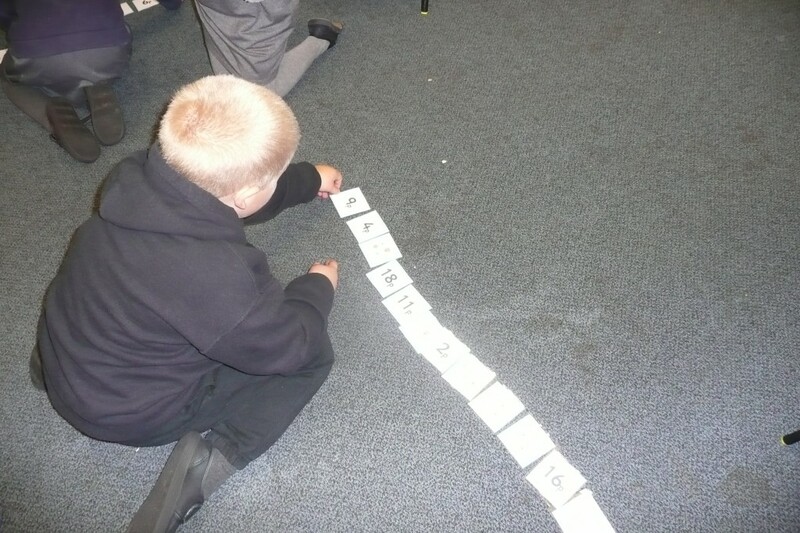 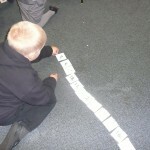 For maths we are learning about money. 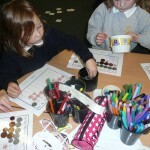 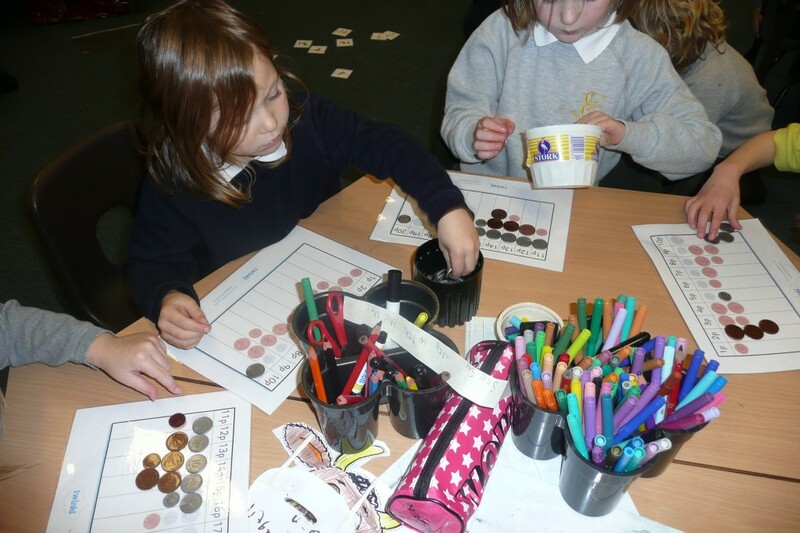 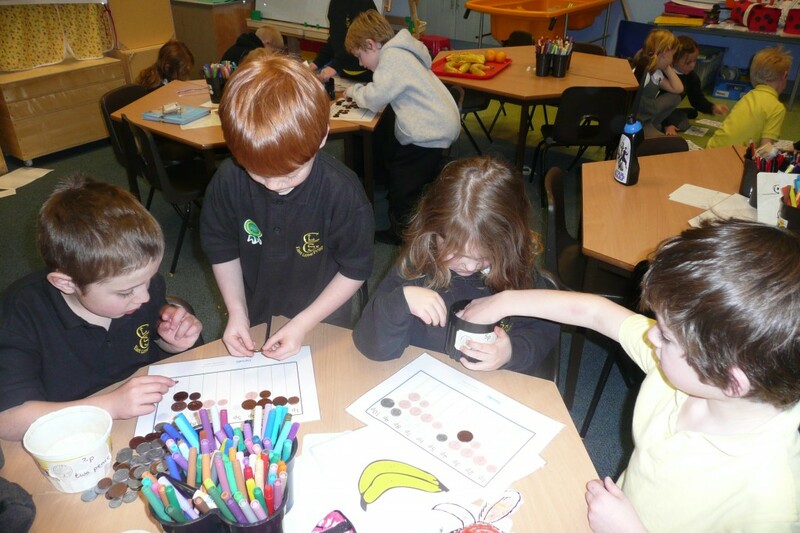 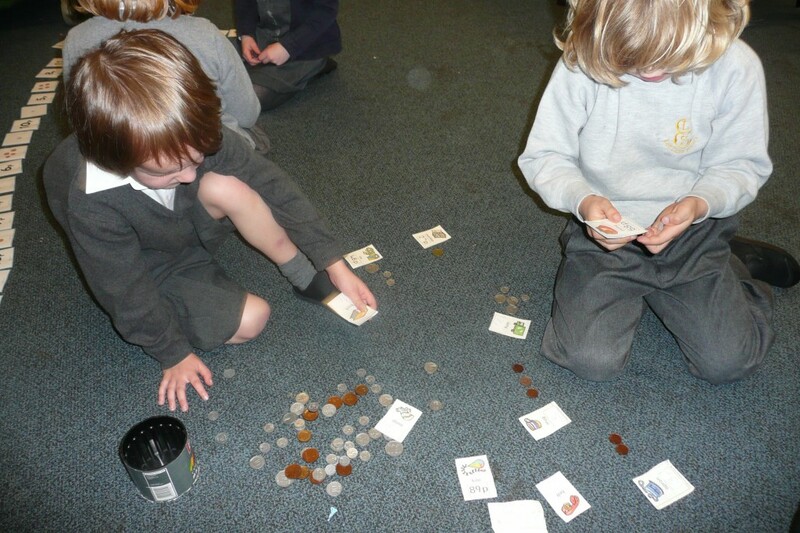 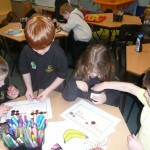 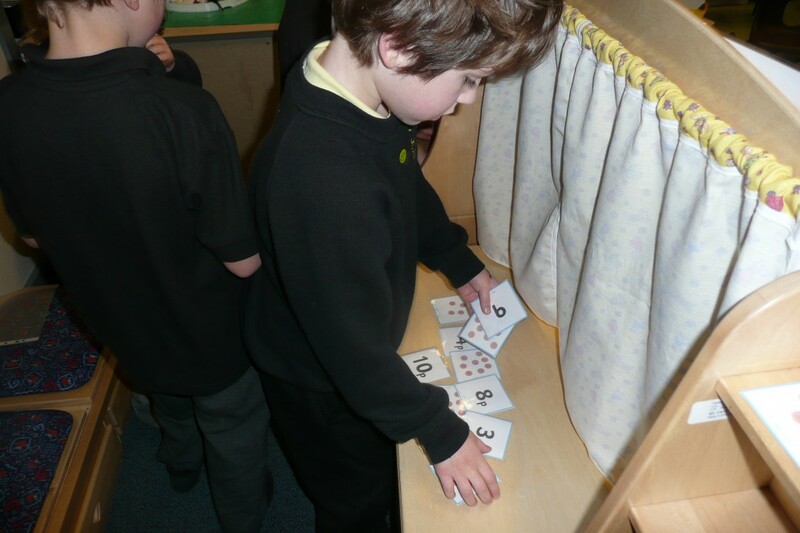 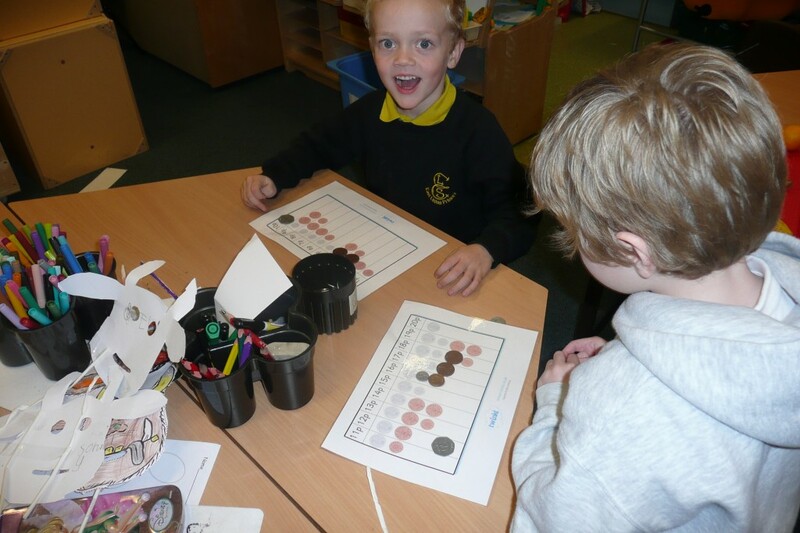 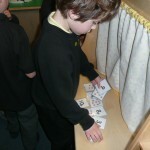 All the children were playing different money games such as money bingo, money pairs and money matching these games help them to learn to recognise coins and how to use different combinations of coins. 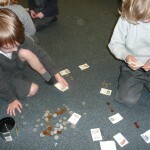 The children are also learning to exchange coins to buy things in our class toy shop. 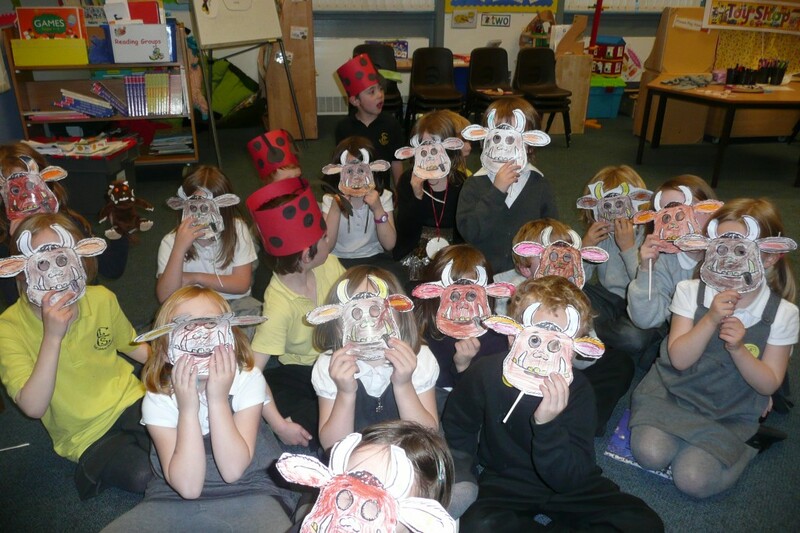 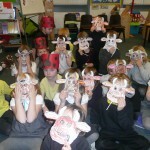 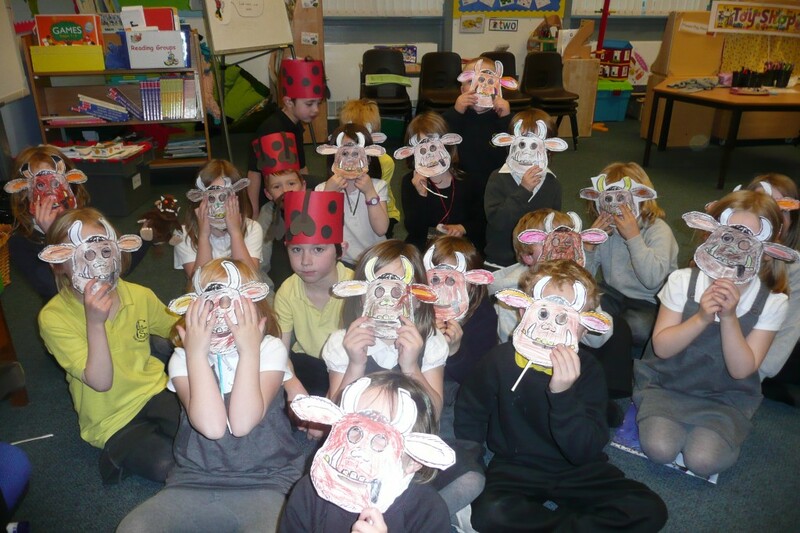 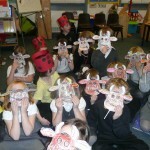 All week the children have been doing actitivies related to the story of the Gruffalo, the children made fabulous Gruffalo masks with Mrs Gordon yesterday and we used them in drama activities today. 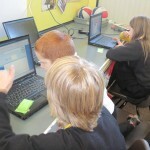 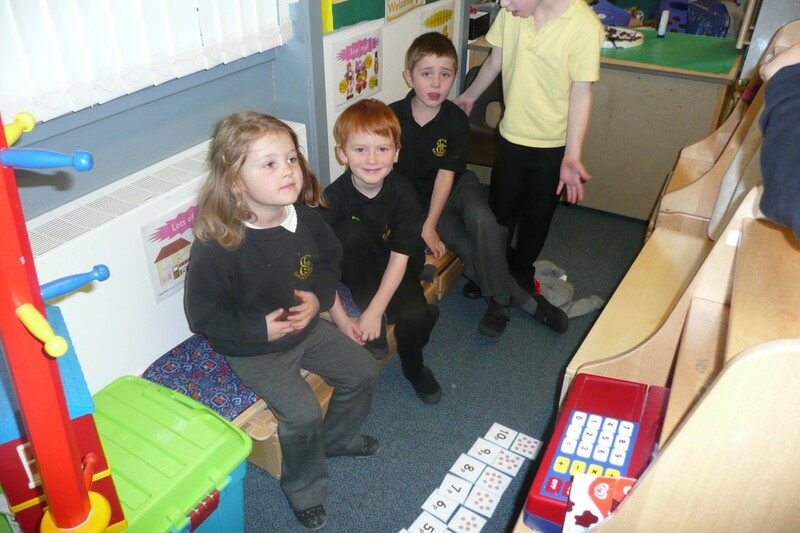 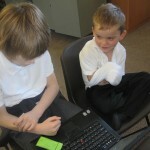 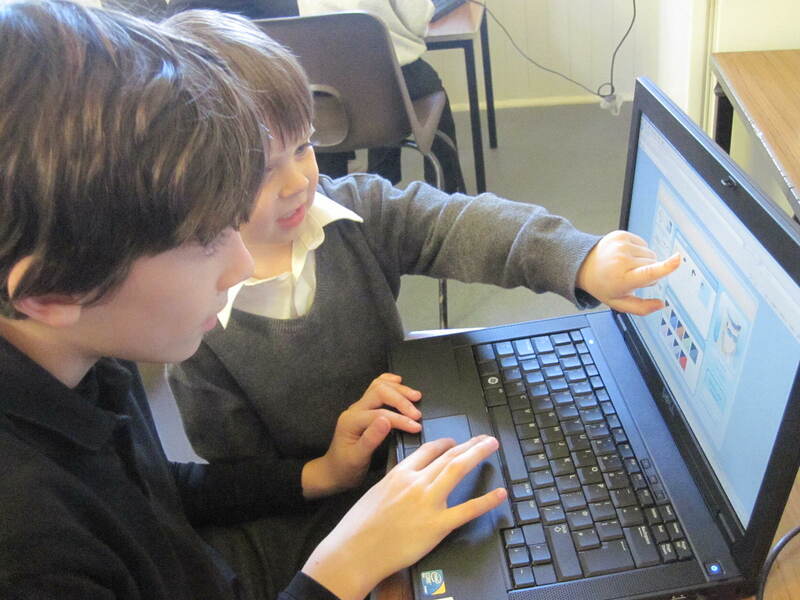 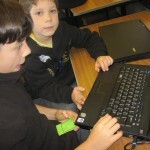 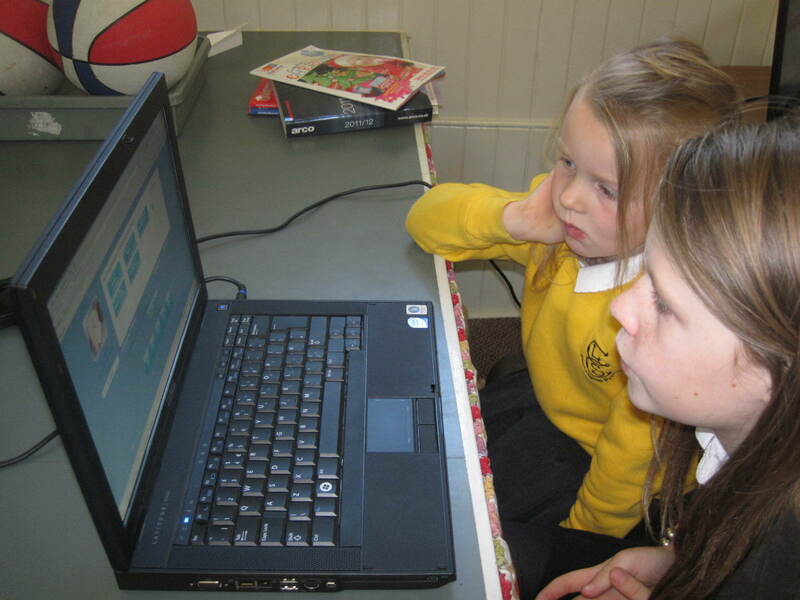 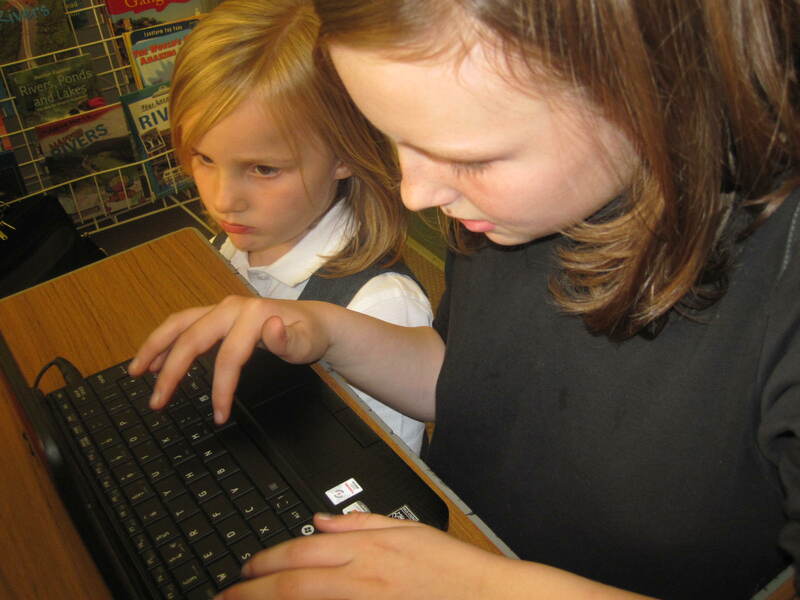 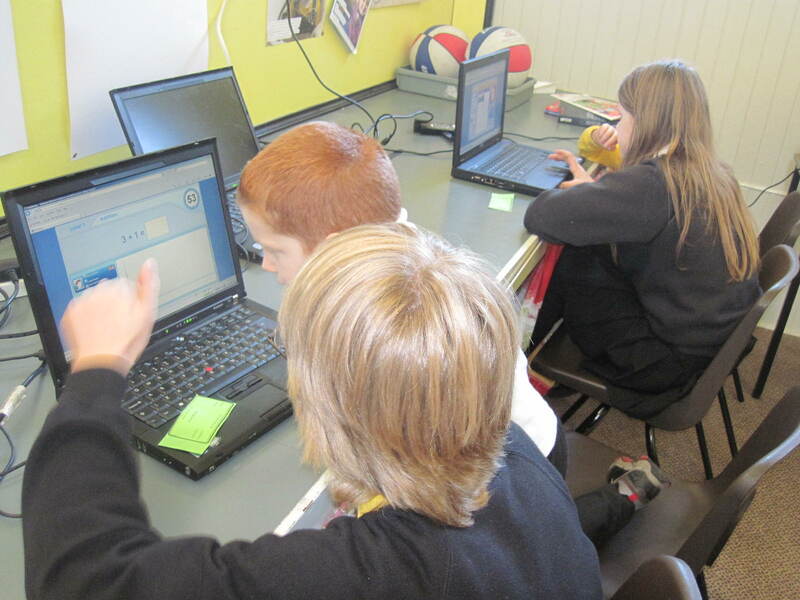 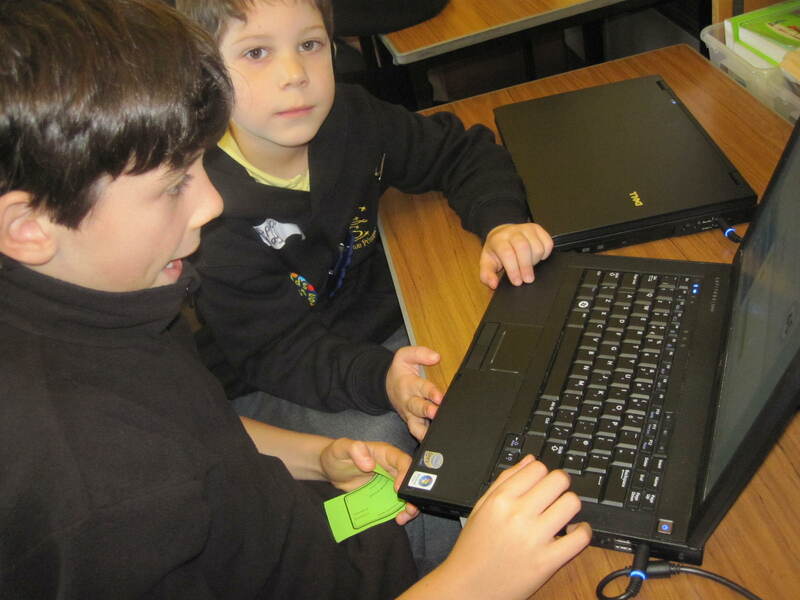 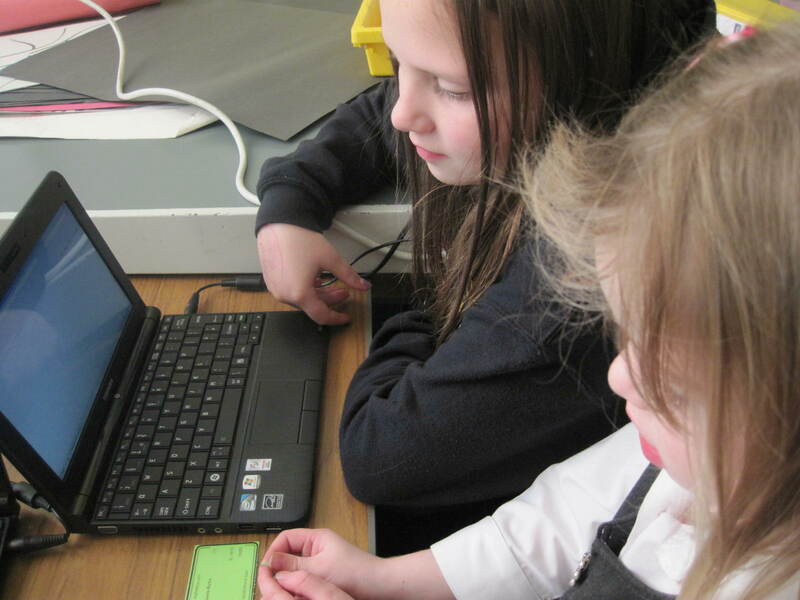 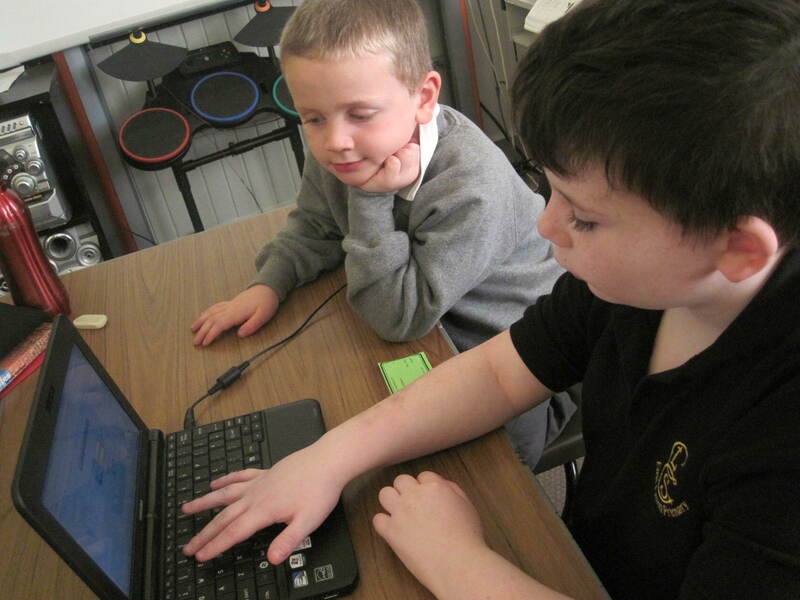 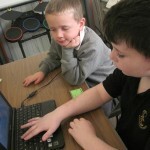 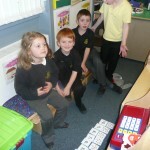 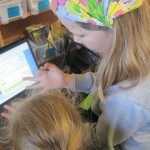 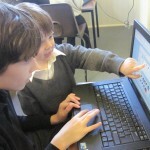 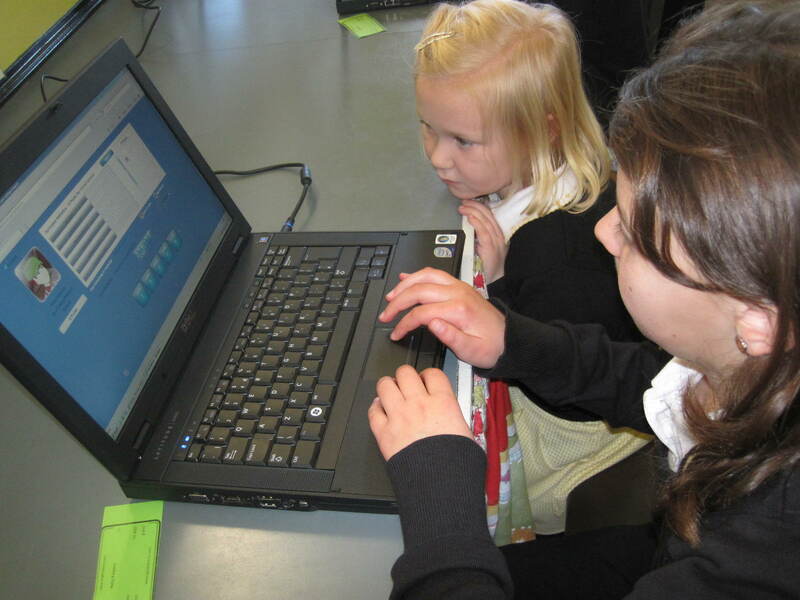 Primary 7 and Primary 1 have been pairing up again but this time it has been on the laptops. 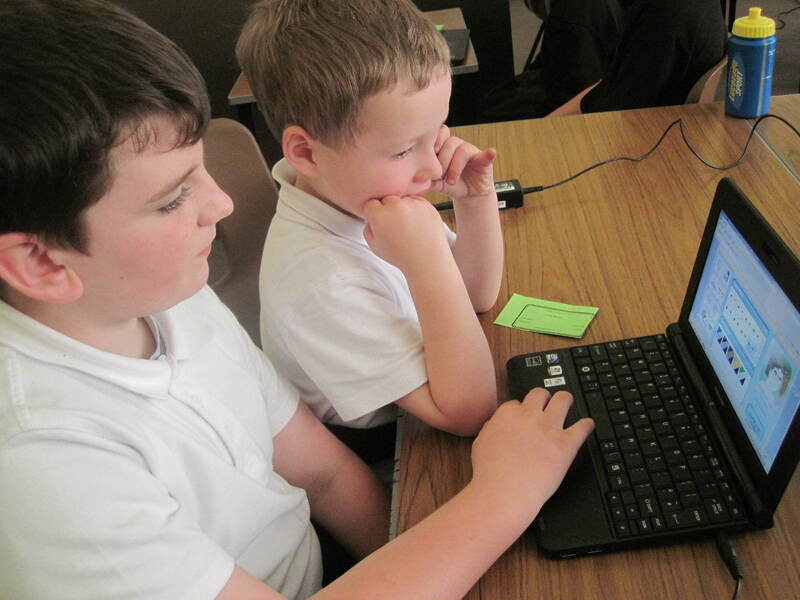 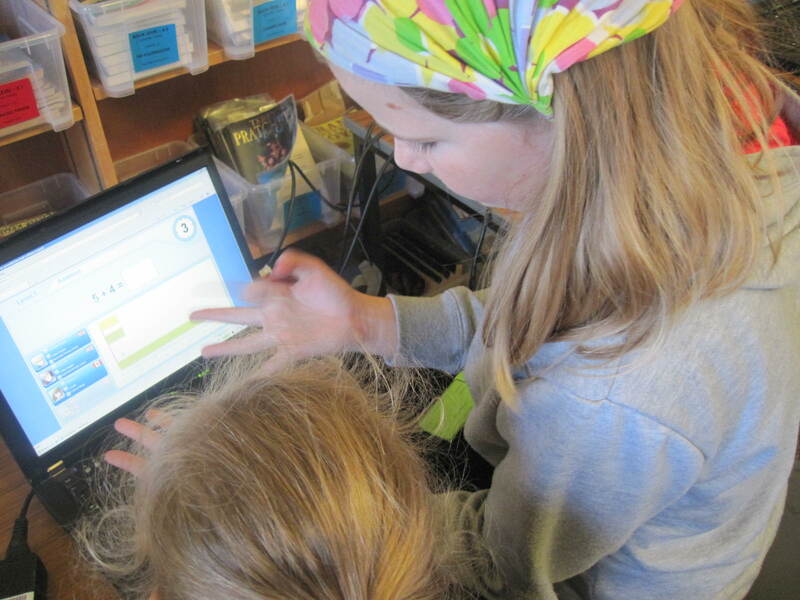 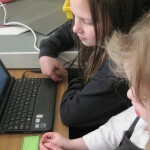 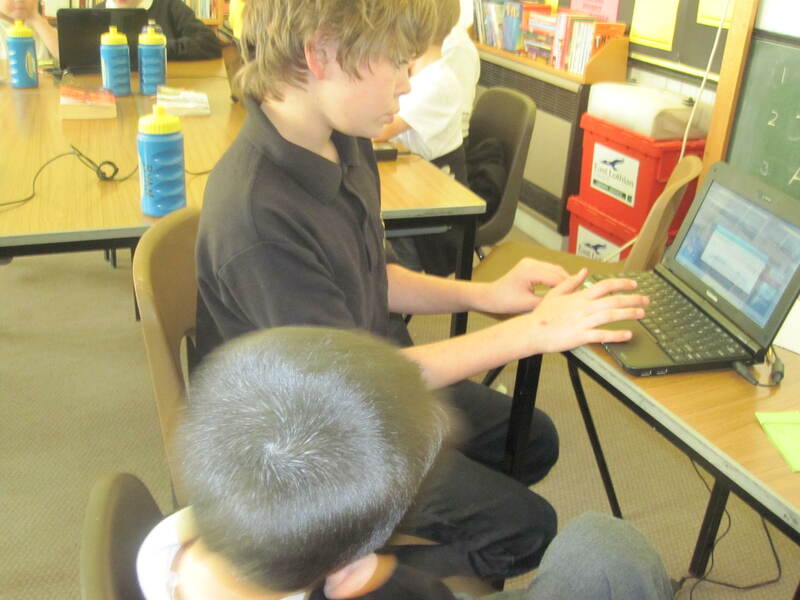 The older children helped the younger children log on, speed up their keyboard skills and further increase their Maths and Numeracy to practise for “The Four Nations Maths Challenge”. 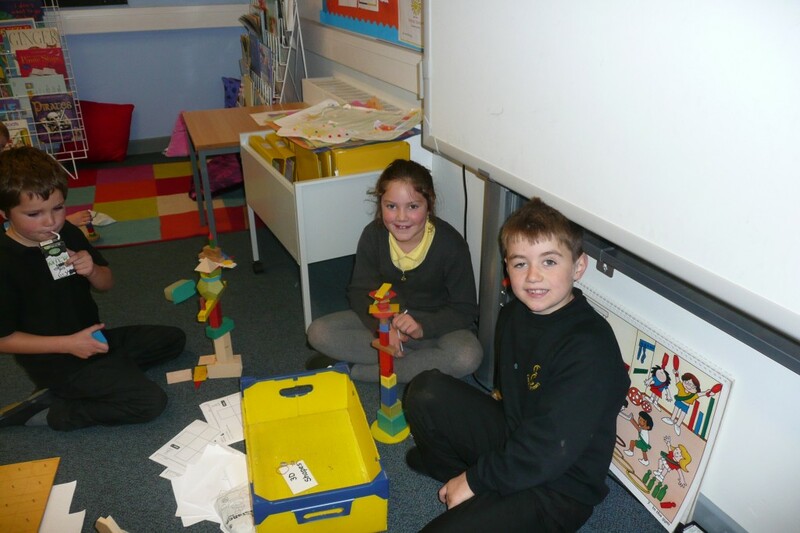 A great time was had by all and yet again, it wasn’t difficult to figure out that….. LEARNING IS FUN! 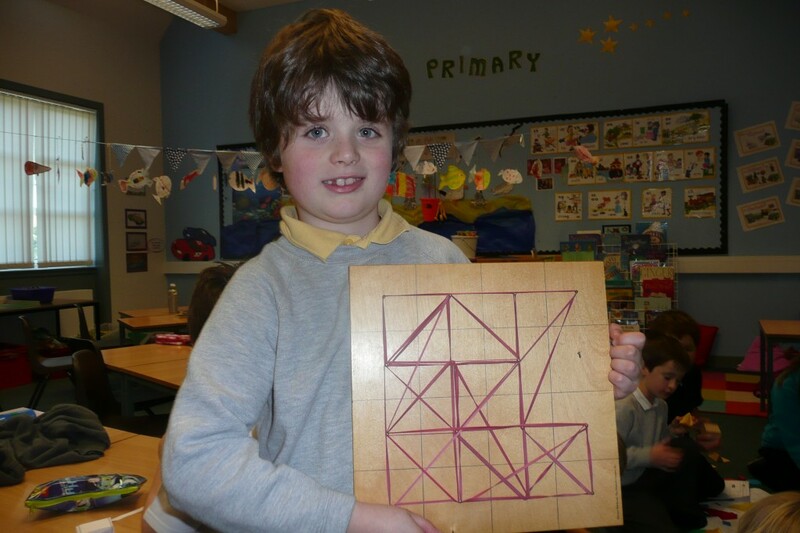 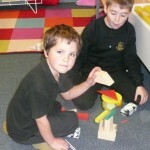 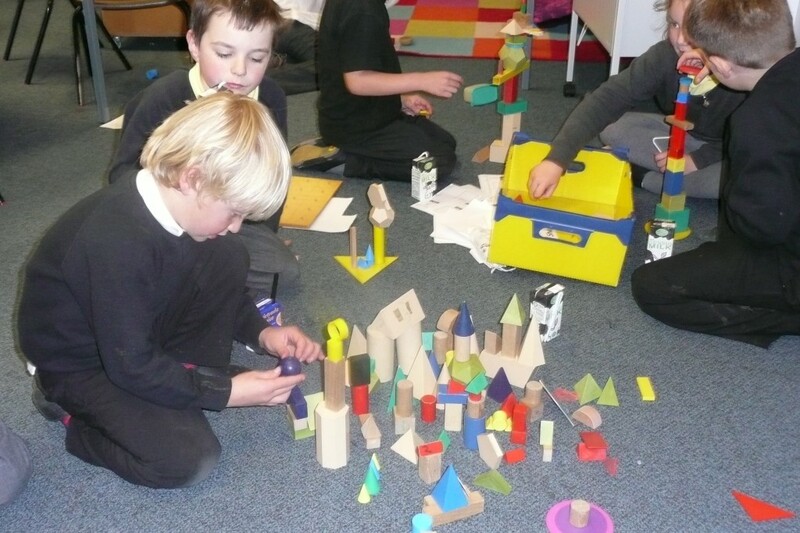 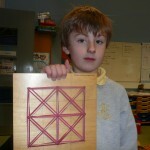 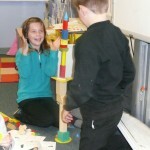 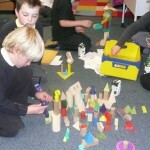 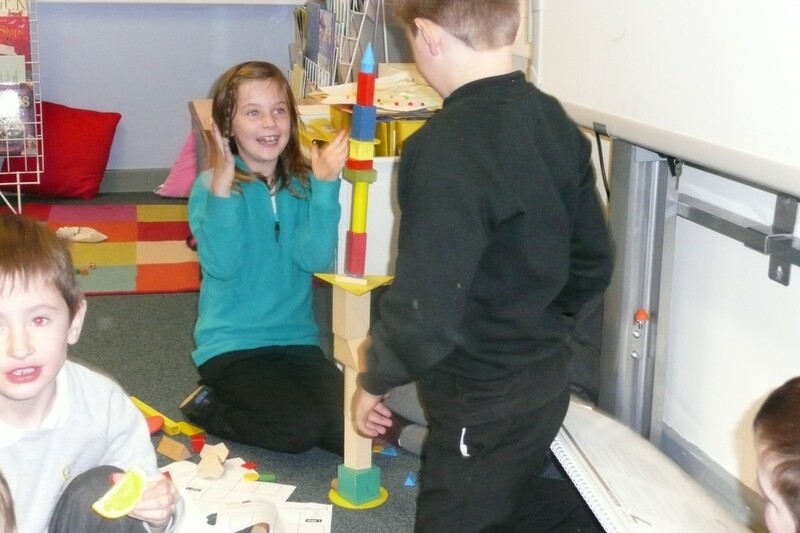 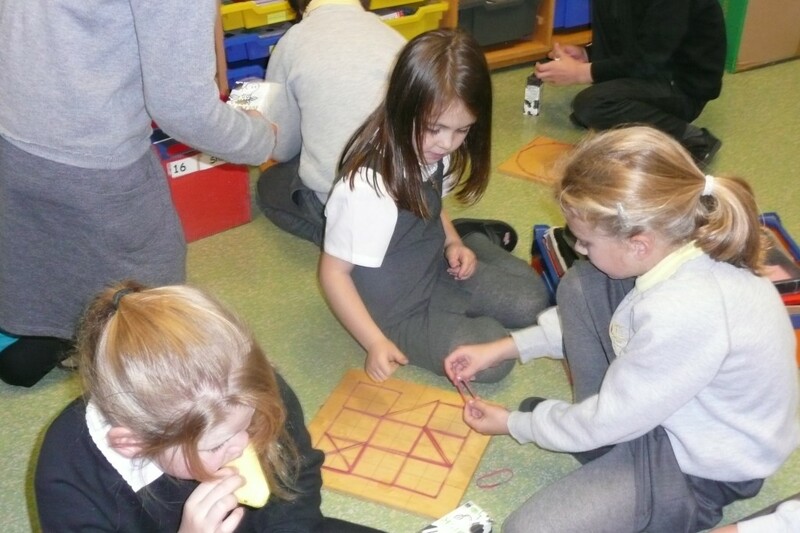 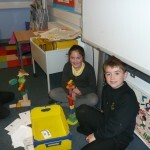 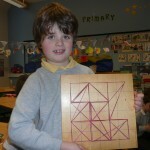 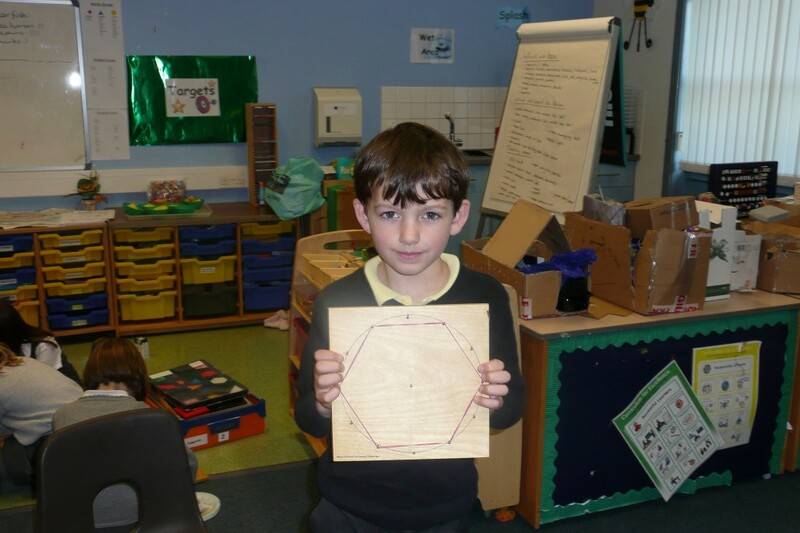 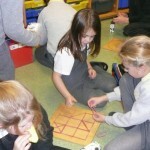 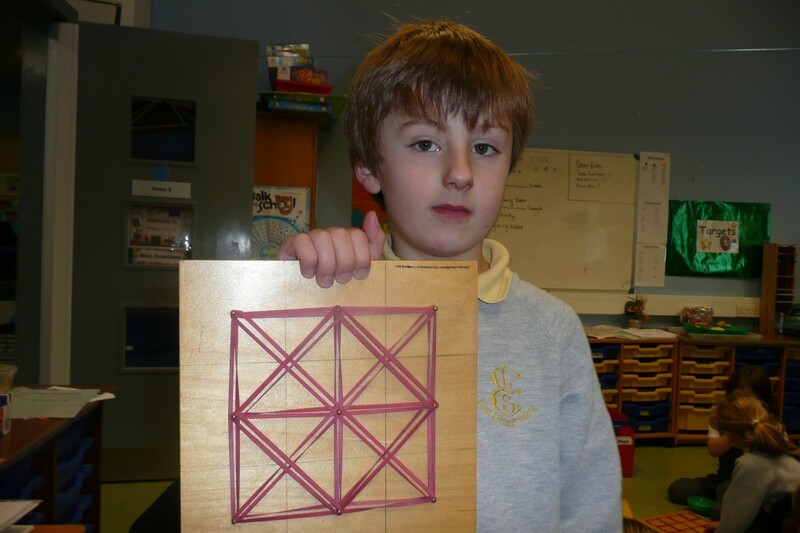 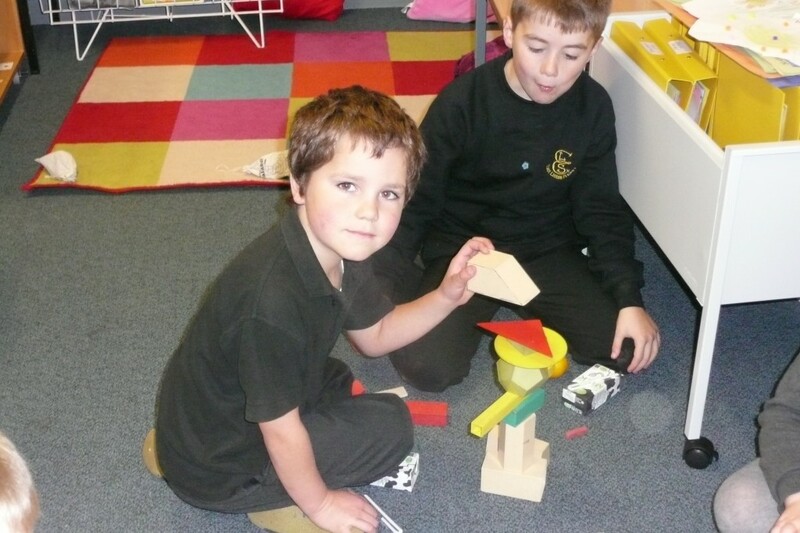 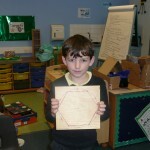 P2/3 have been learning about 2D and 3D shapes. 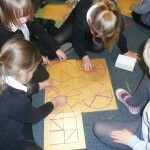 The children have been busy investigating shapes. 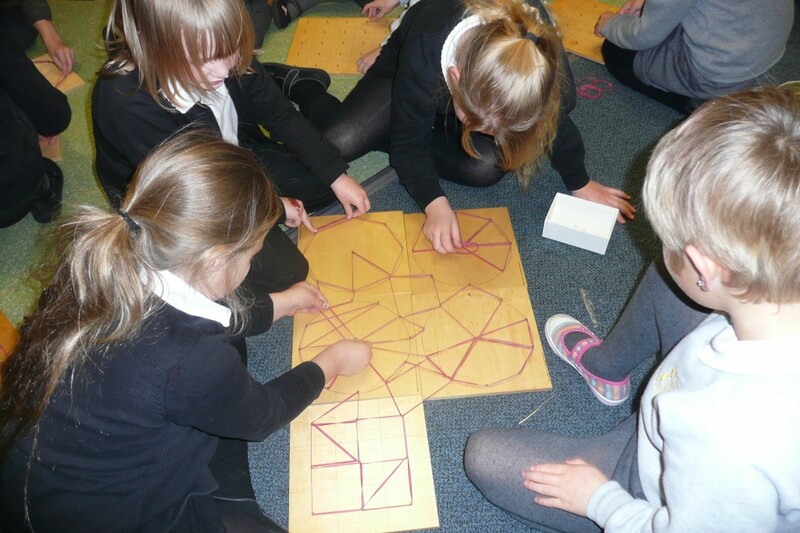 They built models with 3D shapes, they created shapes and patterns with elastic bands and discovered which shapes stack, roll and slide. 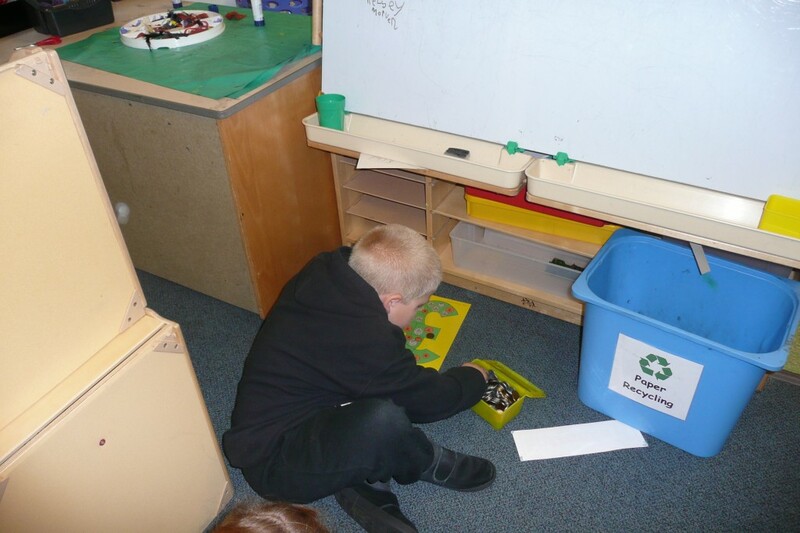 The children have also been on a shape hunt around the classroom and the school looking for 2D and 3D shapes which are around us everyday.